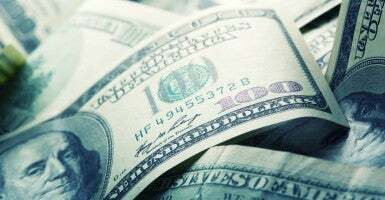 The Tax Foundation, a non-partisan research organization, recently unveiled a study indicating the value of $100 in all 50 states. 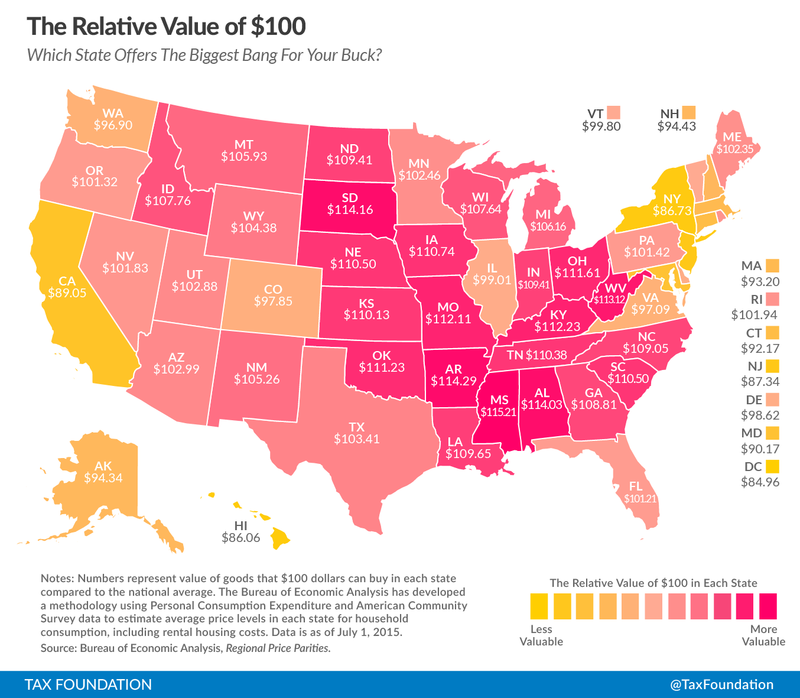 The value of $100 is worth the most in Mississippi ($115.21), Arkansas ($114.29), South Dakota ($114.16), Alabama ($114.03) and West Virginia ($113.12). Areas including the District of Columbia ($84.96), Hawaii ($86.06), New York ($86.73), New Jersey ($87.34) and California ($89.05) have the lowest value. Alan Cole and Scott Drenkard, who organized the study, said typically states with the higher nominal incomes maintain higher price levels as a result. Consequently, Cole and Drenkard say that adjusting incomes for price level adds perspective concerning regional prosperity. The ramifications of these statistics relate to public policy and its implementation because policies are often created based off of the dollar’s value. Because of this, those living in more expensive states typically pay more in federal taxes without benefitting from higher standards of living. The Tax Foundation generated these statistics based off of the the Bureau of Economic Analysis’ recent publication measuring real personal income for states in 2013.